Today’s post is going to talk about MLM done the right way. Please know upfront that there is a right way to do MLM and a wrong way to do it. Most people do it the wrong way and that’s why they end up in the No Friends Left Club, broke, and burnt out. It’s also one of the reasons our industry gets a bad name. My goal today is to fix that so it doesn’t happen to you. I want to share 12 tips on how to do MLM the right way. The tips are in no particular order. Enjoy. The first and most critical thing for you to do is to become a network marketing professional. This means you carry yourself in a PROFESSIONAL way at all times. You dress nice; learn everything you can about your industry, your products and your company. You think of network marketing as a CAREER. You treat everyone with respect, know what you are talking about, and treat your business like a business (not a hobby). You never bad mouth other reps or other companies. You do ALL of these things even if you are building your network marketing business part-time. You realize that you only get paid to produce. You don’t get paid to show up or put in time. You flush your employee mindset and stop looking for the quick buck or easy money. You accept that you are building equity, an asset, not just trying to create an income. As an entrepreneur, you have a vision that you are working toward. You aren’t looking to make immediate income or get rich quick. You realize it takes several years to build a successful business of any kind. You also realize that you have a target market. Not everyone is a prospect. You focus on building and following systems that work for you and your team. When you do this business right you don’t need to pitch anyone, EVER. True professionals are good at asking questions. They ask their prospect questions and LISTEN to their answers. As they listen, they are trying to identifying a need. If you can qualify the person as a good fit for your product or business, based upon something they said, you position your business or products as a SOLUTION to their troubles. If they aren’t a good fit for what you have to offer, you don’t bring it up. Additionally, you study marketing so you can get people to contact you first. MLM, and any other BUSINESS, is a long-term wealth building strategy. It is NOT a solution to fix your immediate cash flow or financial troubles. It is not a source of immediate income. No business is. You have a vision for your life and business and you know where you want to take it in the next five years. This also means that you keep your day job, or get one, to keep the financial pressure off your back while you build your network marketing business part-time. As a professional, you treat everyone with respect, whether they decide to become a customer or distributor on your team, or not. You never use hype, pressure or lies. You treat everyone as good as you would treat your own daughter or mother. You never guilt trip people, annoy people, chase people, pressure people or bug people. You are a consummate professional. You keep your emotions in check. You’re not some crazy lunatic who is babbling with uncontrolled excitement. You are steady and do not have major ups and downs based upon what your prospect decides to do (or doesn’t do). You detach your emotion from other people’s decisions. Yes, you can be excited, but it is contained. You’re not one of those lunatics on Facebook talking about how you found the best thing since sliced bread and how you are going to be rich tomorrow! Your business should NOT take over your life. Do your best at your job. Spend time with your family. Maintain your health. Yes, you need to work your business consistently every day, but not at the expense of your family, relationships, health or employer. Set aside an hour or two a day to build your MLM Business. When you work, work. When you are done working, live your life. Working an hour or two a day CONSISTENTLY for a few years will let you work smart and build up a nice income. Not all activities are created equal. You know you have to work smart because you are doing your business part-time. When you are working in your business, 90% or more of your time should be spent on prospecting, showing the plan, following up, training your team, and getting customers. These are the MONEY PRODUCING ACTIVITIES. All other activities are inferior and do not put money in your pocket. Don’t confuse being busy with being productive. Every network marketer is busy. Very few are productive. No one wants a second boss or second job. It’s your responsibility to make the business fun. If you aren’t having fun, you won’t stick around very long and you won’t get very good results. Take your business seriously, but don’t take yourself too seriously. Learn how to lighten up and laugh. No one ever teaches this lesson, so I will. You need retail customers, lots of them. Your goal is to get at least 10-20 customers as quickly as possible, and keep them ordering every month. Without customers you don’t have a legitimate business. Yes, your ultimate goal is to build a large network, but customers are an important part of that network. Customers provide residual income AND immediate retail profits. Everyone would benefit from having 10-20 customers. Be product focused and realize you only get paid to create volume in your team. Entrepreneurs must be smart with their money. You must watch the money coming in and the money going out. You need to keep a monthly profit and loss statement for your business. Track every dollar that you spend. Before you spend money on anything ask yourself what type of return on investment you will get from it. If you are building your business right, you should be profitable within your first 30 to 90 days. Monitor how much you spend on business expenses. Be a good steward of your own money. Yes, you will still have some expenses. Just be smart about it. Never spend money just to spend money. We are all different. No two people are exactly alike. Everyone has different talents, abilities and skills. What you need to do is build the business in a way that works for you. What works for your sponsor might not work for you. Make an inventory of what you are good at and find creative ways to leverage those talents to build the business. For example, I am good at writing so I build my business by blogging. That won’t work for most people, but it works for me. It’s fine to prospect your friends and family, but there is a right way and a wrong way to do it. The right way is to let everyone know what you are doing. If they express and interest, you give them more information. If they don’t express and interest you leave them alone. You have to realize that your friendships and relationships are the most important thing in your life. The last thing you want to do is potentially ruin them. Treat everyone with respect. Let people come to you. Be honest and sincere. If people seem uninterested, or tell you NO, don’t abandon them, guilt trip them, or make them feel bad. Realize that most of your friends and family will NOT be interested in what you are doing because they are not part of your target market. There you have it folks. These are 12 of my best tips on how to do MLM the right way. I hope you found the information helpful. Which tip makes the most sense to you? Which tip did I forget to mention? Leave a comment below to let me know what you think. I look forward to hearing from you. 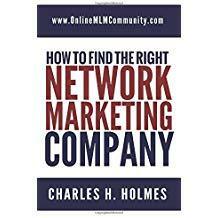 Next Next post: Is Network Marketing for Me? I need to copy this and read it daily. This is wonderful information that we should examine daily. I really love the last one about keeping our integrity solid. I have had to always watch that in the type of work I do. I freelance write and I often get those who want me to write on subjects that are against my morals. Even though they offer to pay high, I pass, because in the long run, it will harm my reputation. I believe that we have to also keep a strong check on our morals in network marketing. While it may be tempting to tell a “little white lie,” is it worth it? When you do the right thing you have nothing to worry about. Love that you address emotions in this post. Emotions can cause you to make irrational decisions that you regret later on if you don’t keep them in check. Of course, you’re going to have emotional responses to things that happen but don’t let that emotion keep you from using logic and reason. Some of the worst decisions I made in life were the ones solely based upon emotion where I disregarded reason. Wish I had mastered that a long time ago. Managing your emotions is very important if you want to be successful. This is priceless information. Everything makes sense. I know most of your readers will read this post and go “I wish I knew these earlier”. If you’re a beginner, take this advice to heart. The earlier you know (and apply) these, the easier it is for you to achieve success faster. Glad I could help, man.